SINGAPORE - Manpower Minister Lim Swee Say said the national anti-discrimination watchdog will be given more teeth to tackle "triple-weak" companies which lack a strong Singaporean core. Speaking at an award ceremony by the Tripartite Alliance for Fair and Progressive Employment Practices (Tafep) on Friday (April 8) morning, he said: "I plan to reposition Tafep to play a more proactive role both in countering the 'triple-weak' companies and engaging the 'triple-strong' companies." "Triple-weak" companies, he said, were ones lacking a Singaporean core as well as commitment to nurture one in the future, and that did not contribute significantly to the economy or society. "Triple-strong" companies are the opposite, with both a strong Singaporean core and future plans to nurture it. They must also have a strong contribution to "economic linkage and social impact," he added. Mr Lim said that he will elaborate on this move when he speaks on the Manpower Ministry's plans in Parliament this afternoon. 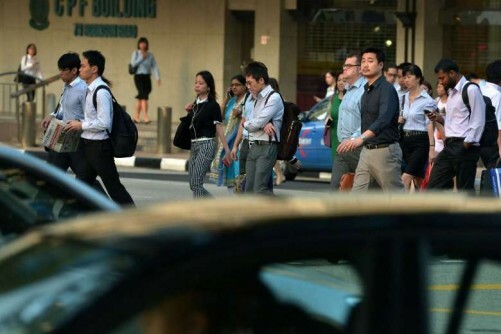 Last year, the Manpower Ministry identified 38 companies that will be scrutinised more closely for being "double-weak" in their hiring and developing of Singaporean workers. These firms were not identified, but Mr Lim had said these firms had their Employment Pass (EP) applications looked at more closely by the ministry. "Should there be 'double-weak' firms that are unresponsive or uncooperative, they will have their EP privileges curtailed," he added in a post on the ministry's blog last year.